Buses: 1, 12, 35, 40, 45, 53, 63, 68, 100, 133, 148, 155, 168, 171, 172, 176, 188, 196, 333, 344, 360, 363, 453, 468, C10 and P5. Breathing in the Borough Road Archive takes its inspiration from the theory of “insufflation appreciation.” This audio meditation will utilise this technique to analyze and consume the collection in the Borough Road Archive. Breathing in the Borough Road Archive takes its inspiration from the theory of “insufflation appreciation.” The theory that, with the right guidance, what Walter Benjamin describes as the “aura” of a painting can be physically inhaled into the viewers body. This insufflation allows the viewer to slip into a transcendental state where by the full complexity of a work of art may be revealed. If done properly the technique allows the viewer to appreciate, understand, and even empathise with a work of art on a metabolic level. The lines, colours and textures within a painting each exist in the atmosphere as particles that resonating at different frequencies just beyond the surface of a painting. With the correct breathing technique and meditation these microscopic resonances (that are emitted by a work of art) may enter the body through the lungs. As the aura is inhaled into the body it travels down the windpipe, through the bronchial tubes, and passes through the thin walls of the alveoli entering the bloodstream where it travels up to the brain triggering accurate and profound synaptic responses. The audio meditation will utilise this technique to analyze and consume the collection in the Borough Road Archive. Twelve short 2-4 min. 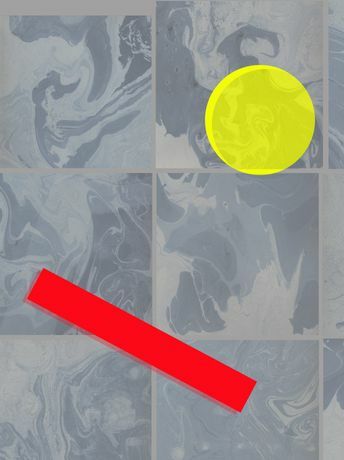 segments of audio will employ this art appreciation technique to explore the specific works of art, the history of their production, and the legacy of the collection.